January is often a time of the year when we feel fed up. With the short nights and dark days, cold and rain, the Summer holidays seem far away. This Winter wagamama, a company whose Asian food is based around fresh fruit, vegetables and nourishing flavours, has joined forces with mindfulness expert Michael Townsend Williams. The result is a mood-boosting juice called 'Positive', designed to help us Brits beat the January Blues amongst other nutritious juices. wagamama are no strangers to having juices on their menu, all squeezed, pulped and poured fresh for the customer every day. Their 'Raw Juice' is a cult product for example, with carrot, cucumber, tomato, orange and apple all juiced and mixed together for that delicious taste and fabulous goodness in a glass. Other juices available include 'Super Green Juice', 'Blueberry Spice Juice' and 'Tropical Juice'. 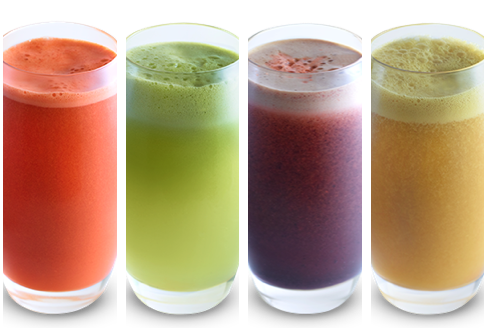 Advocates of juicing point to the fact that juicing contains most of the vitamins, minerals and plant chemicals (phytonutrients) found in the whole fruit, and can be easier to digest. It is also a great way to add more servings of fruit and vegetables to your diet and lower your cancer risk. Although you should still aim to get your recommended 5 portions of fruit and veg per day from whole foods, fresh juice is useful to supplement your portions and get the valuable phytonutrients. 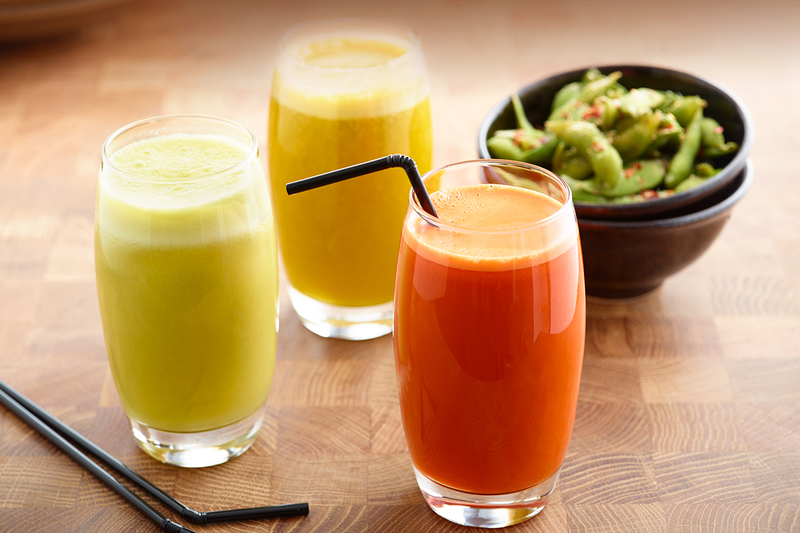 wagamama’s limited edition 'Positive Juice' contain lots of mood-enhancing properties. 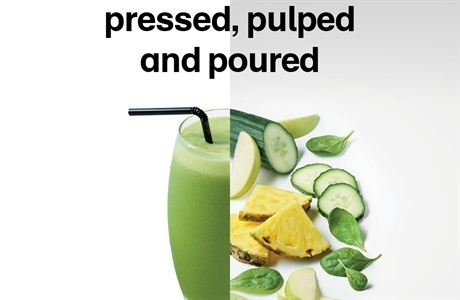 This tasty juice contains a blend of pineapple, apple, lime, spinach and cucumber – fruit and vegetables that contain natural feel-good properties as well as vitamins and antioxidants to help boost energy levels. Made using 100% raw ingredients and made fresh to order, the nutritious elements of this super juice are below. Pineapple – contains a significant amount of serotonin, a chemical messenger that’s believed to act as a mood stabiliser. Serotonin also help regulate healthy sleeping patterns. Apple – contains quercetin, a flavonol antioxidant that can help to fight stress. Lime – contains rich amounts of vitamin C that help fight fatigue, depression and maintain healthy skin. Spinach – contains a high level of iron which helps transport oxygen around the body, leaving you feeling more motivated, less tired and increasing cognitive development. Cucumber – contains vitamin B to which helps reduce tiredness and fatigue and maintain energy levels. Available until the end of February, this 'Positive Juice' is also available to go. Let me know, have you ever visited wagamama? Would you try this positive juice? This sounds delicious, although I always find 'neat' juice a bit strong. They should serve it with water so you can dilute to taste!! I am sure you could ask them to do that Helen. Then that would defeat the whole point of the drink. It's called raw juices for a reason. If it's only adding water you are getting the same nutritional value. It's when a juice is heated, pasteurized or kept for a length of time the nutritional value will alter. I love Wagamama but I always stick to green tea when I go. These sound quite nice though and worth a try. They all sound really yummy. I've never been to a Wagamamas but I think there is one in the local shopping centre. Definitely want to try it out now! Let me know if you do Rachel. Oh yes, I would love to try them all. I wish I had a proper juicer so I can make them at home. That's a good idea. It's nice to have juice when you are out for a meal too. I don't know of any restaurants that do the selection wagamamma does. I struggle with juices unless they are pure fruit - can't cope when veggies are added - even carrots! I love Wagamamas and their carrot juice is really tasty and full of all the essential vitamins you need! I also love Wagamamas and theis juices!